Hey it’s been NINE YEARS since I have last blogged. That has to be some kind of a record, right? Well time to get back up on the horse and gallop off into social media again. So this time around I will be focusing on Mystery Tips for your parties and plots. Here’s the first one! Most kids enjoy playing in the dark if they feel safe. 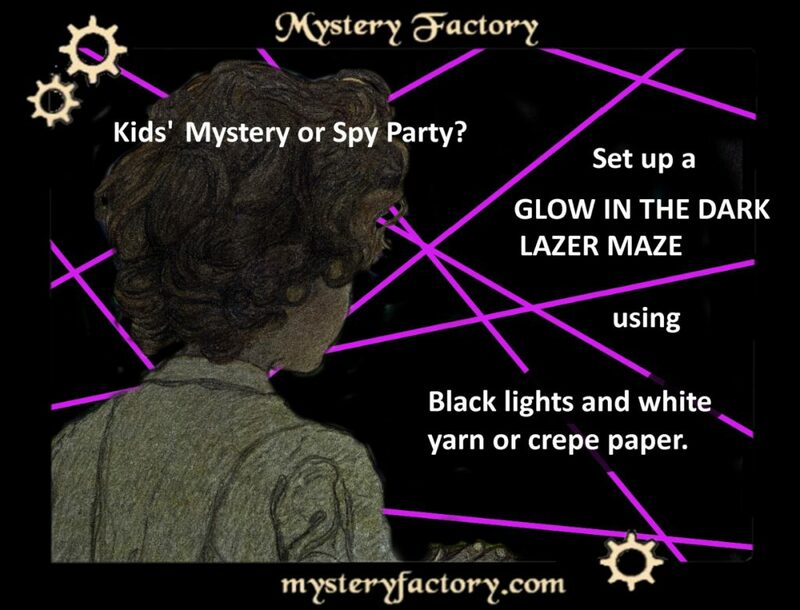 Why not set up a GLOW IN THE DARK LASER MAZE for your next spy party sleepover? White yarn, rags or crepe paper strung across a hallway, staircase or porch will glow under a black light.